Select your paper and media category below. 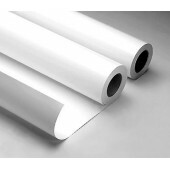 A complete and consistent range of high quality plotter paper and film for all your wide format printing requirements including uncoated and coated plotter paper, tracing paper, double matt inkjet film and clear film. All our products have been carefully selected by us from the best available in Europe and fully tested for use with any wide format dye and pigment inkjet printer. Our range also includes well known manufacturer brands, HP and Canon. Please select your category below or use the left hand filter to quickly and easily guide you through our product range. Our experienced team are always available to discuss your requirements so please call us on 01296 393700 and we will be happy to help you choose the right product for your application. 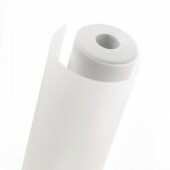 Coated Inkjet Plotter Paper 90gsm. 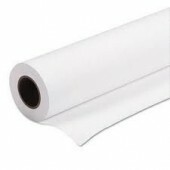 Premium fast drying and water resistant coated plot paper. Especi.. 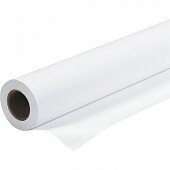 Coated Inkjet Plotter Paper 90gsm. Premium fast drying and water resistant coated plot paper especia..
Canon IJM043 Recycled Inkjet Plotter Paper Paper 80gsm 97003441. 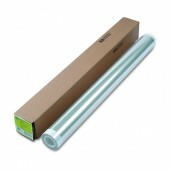 Zero (no net greenhouse (Co2)..
Canon IJM043 Recycled Inkjet Plotter Paper 80gsm 97003441. Zero (no net greenhouse (Co2) emiss..
Prizma CADb Inkjet Plotter Paper 80gsm. A smooth white standard weight uncoated report grade paper s..